We will see some overrunning precipitation coming in late this weekend. 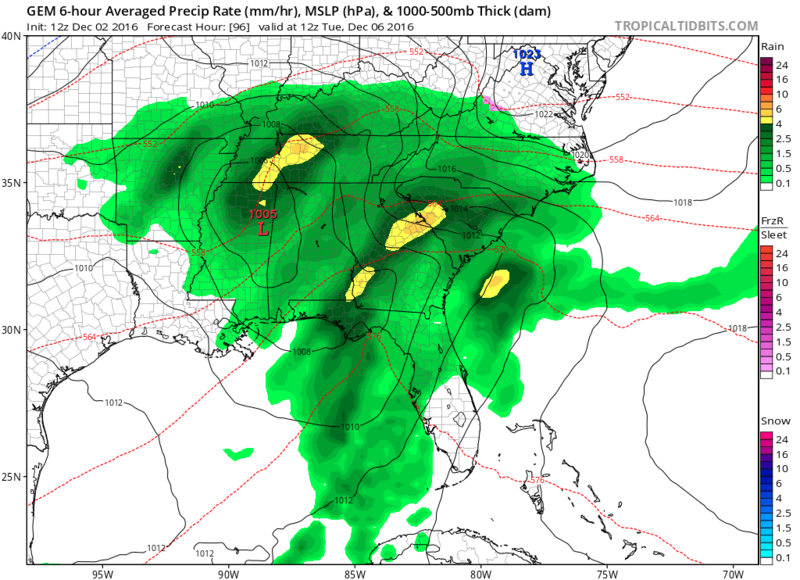 All of the Southeast will see at least some rain from this system. Many will see flash flooding risks as well and this pattern has set in for the next several weeks it seems. We go over more details of systems as well as impacts on our member emails. In addition, you will get text alerts and a daily forecast for your specific area. Consider becoming a member today by clicking on the button below.